Avatar 4 and 5 aren't set in stone. Director James Cameron revealed in a recent interview with Vanity Fair that, despite the fact that all four Avatar sequels were given release dates by 20th Century Fox, the financial success of the second and third movies will determine if the franchise continues. "Let's face it, if Avatar 2 and 3 don't make enough money, there's not going to be a 4 and 5," he said. "They're fully encapsulated stories in and of themselves. It builds across the five films to a greater kind of meta narrative, but they're fully formed films in their own right, unlike, say, The Lord of the Rings trilogy, where you really just had to sort of go, 'Oh, sh*t, all right, well I guess I better come back next year.' Even though that all worked and everybody did." 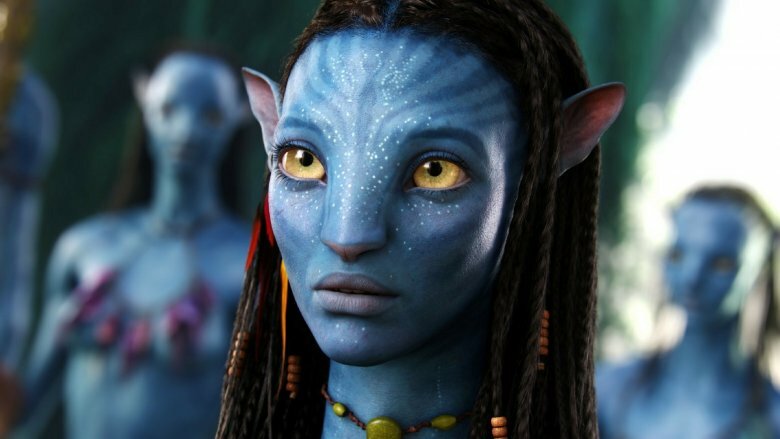 The movies are already set up for financial success– 2009's Avatar still holds the title for the highest-grossing film of all time. However, it still remains to be seen if people will turn out for the long-awaited sequels, the first of which will hit theaters 11 years after the original. With a total reported budget of over $1 billion, it makes sense that Fox wants to be cautious about the endeavor. The films are a family saga about Jake (Sam Worthington), Neytiri (Zoe Saldana), and their children. Sigourney Weaver, Stephen Lang, Matt Gerald, Joel David Moore, Giovanni Ribisi, and C.C.H. Pounder are among the returning cast, despite the deaths of some of their characters in the original. Cameron has said that Lang's Colonel Quaritch will be back as the main villain for all four of the planned films, noting that they will all follow "pretty much the same characters." However, there will still be newcomers, including Fear the Walking Dead's Cliff Curtis as Tonowari, the leader of a clan of reef people, and Game of Thrones' Oona Chaplin as Varang, a prominent character described as being strong and vibrant. Cameron has also set the movies up to be a reunion with his former Titanic star Kate Winslet, who is set to play Ronal, a member of the reef people clan. Still, though, Cameron says the films will focus mostly on "taking characters you know and putting them in unfamiliar places and moving them on this greater journey." The film will also incorporate the same gorgeous visuals that people have come to expect from the Avatar franchise, as Cameron has teamed up with Weta Digital, the company behind the Lord of the Rings and Planet of the Apes movies, for visual effects. Avatar 2 is set to premiere on December 18, 2020, while Avatar 3 will follow on December 17, 2021. Should they prove successful, the fourth film has a December 20, 2024 release date, while the fifth is set for December 19, 2025.